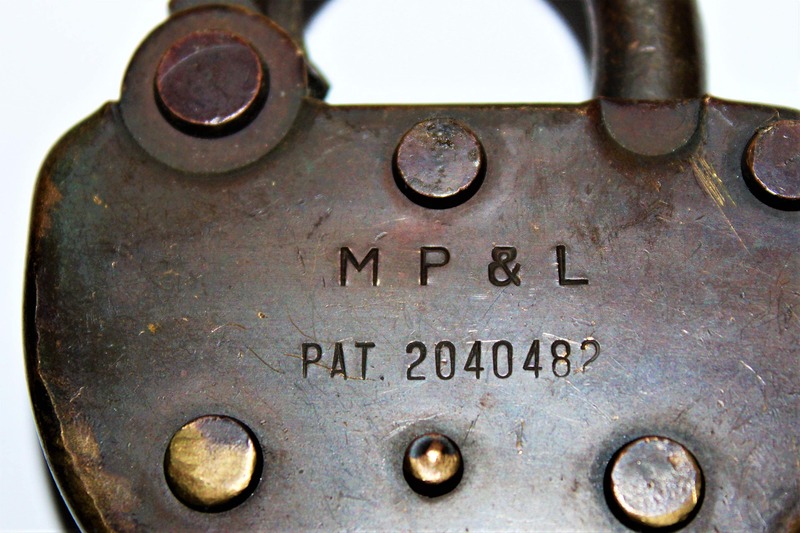 We have for sale Vintage Adlake All Brass Railroad Switch Lock, MP & L, Minneapolis Power & Light Co. 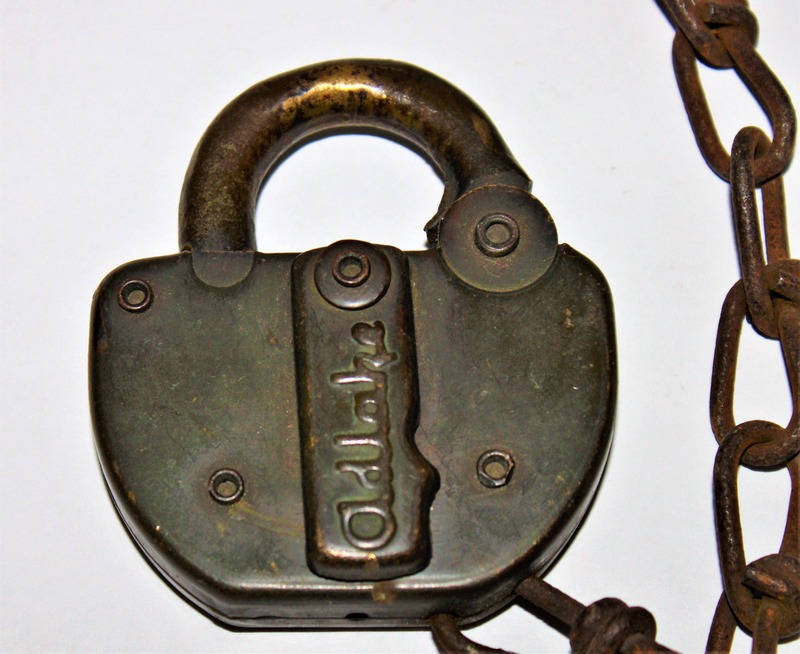 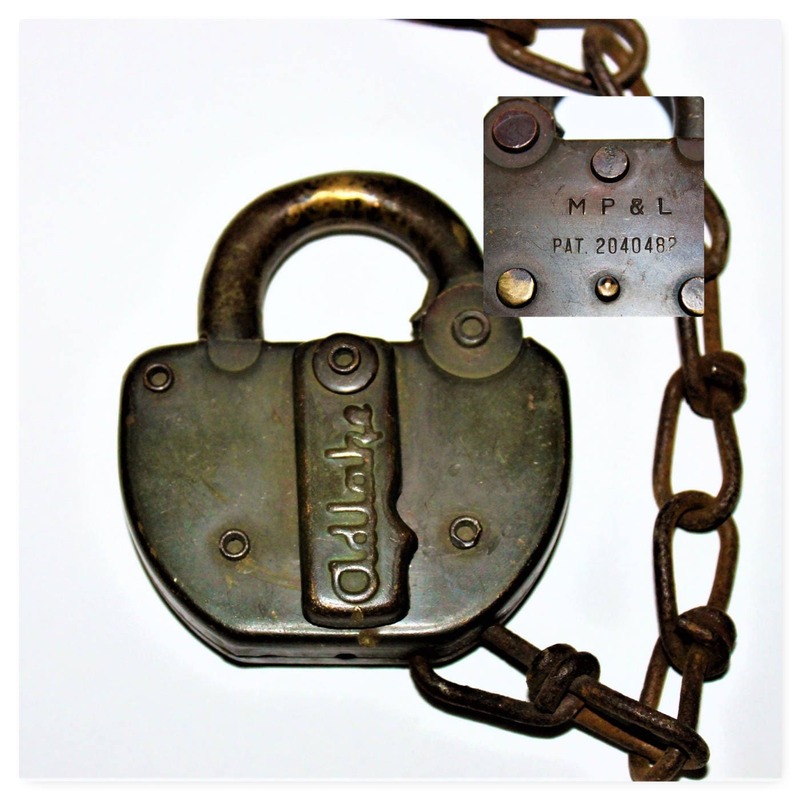 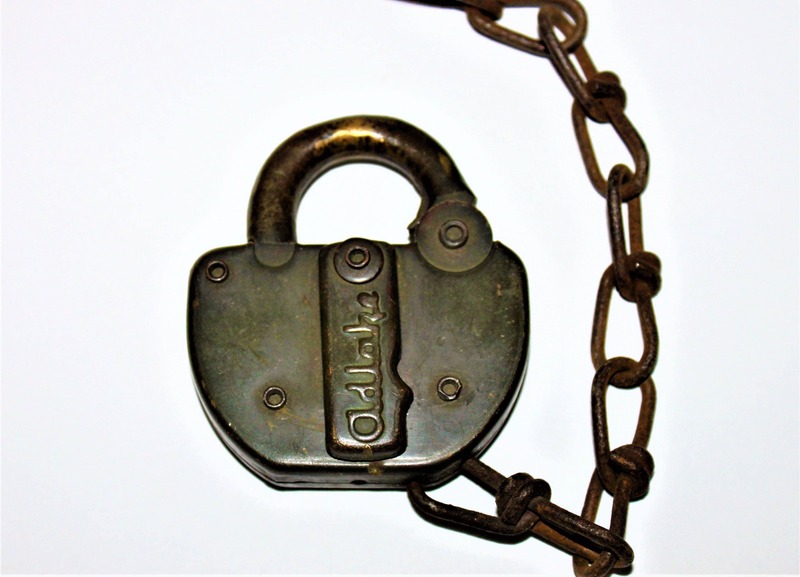 This is a 1960s Adlake All Brass padlock made for Minneapolis Power & Light Co. 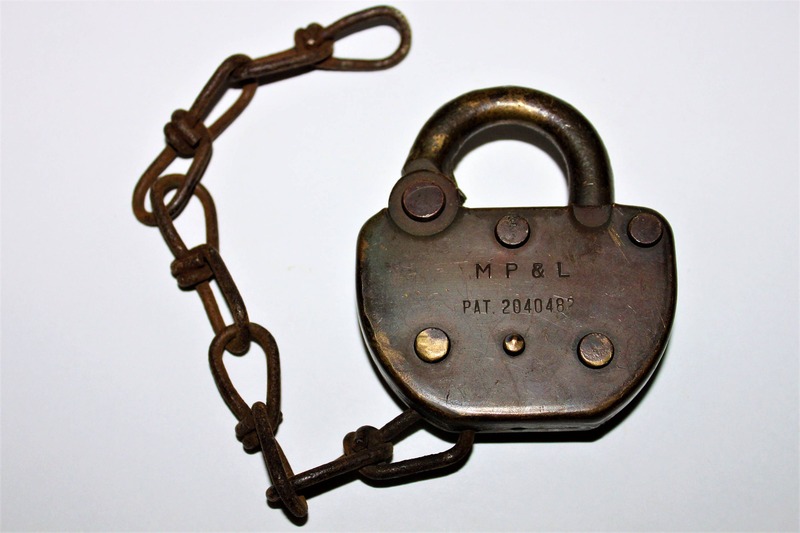 It is a solid brass lock painted army green this would have been used by the Minneapolis Power & Light facility off Marshall St. NE Minneapolis.